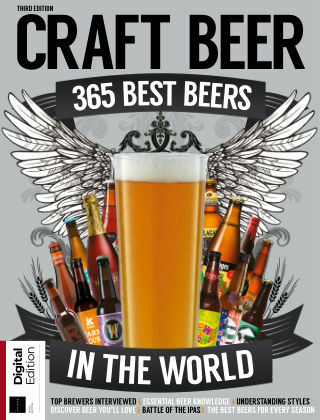 With Readly you can read Craft Beer: 365 Best Beers in the World and thousands of other magazines on your tablet and smartphone. Get access to all with just one subscription. New releases and back issues – all included. "Over the past decade, beer has changed forever. Gone are the days when craft beer was a fad, a niche activity enjoyed by the few and comparatively inaccessible for many who sought it out. Nowadays, craft beer is a truly global phenomenon that can be experienced almost anywhere in the world, from the United States to Japan to New Zealand and almost anywhere in between. In this book, you’ll find a collection of beers that we’ve arrogantly called ‘the best beers in the world’ and all of them are stunners. ‘Best’ is completely subjective of course, and you’ll have to try them for yourself to see if you agree. Some you will be able to pick up right on your doorstep, and others may take considerable effort to find if you ever hope to try them. Regardless, we hope this collection of beers sends you on an exciting journey into the heart of our favourite fermented beverage."